Save the date! 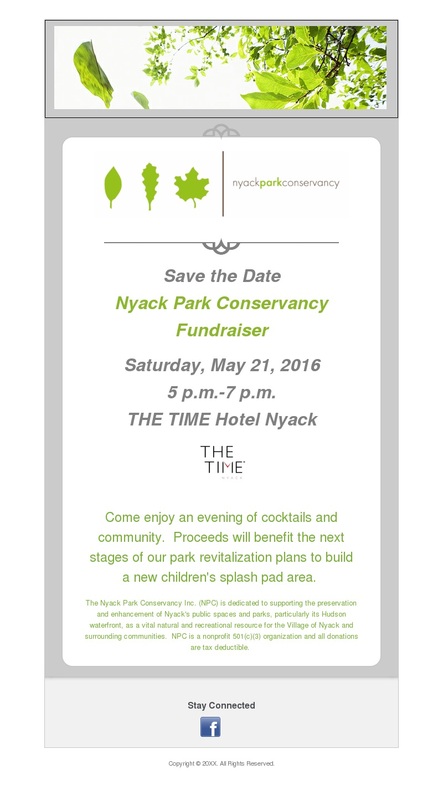 Our next fundraiser will be held on Saturday, May 21 from 5-7PM at the all new TIME Hotel here in Nyack. This event marks the launch of our campaign to raise funds for a new children’s splash pad area in Memorial Park. Let’s make it happen Nyack! Event and ticket sales information to follow. We’ll keep you posted! !